Wales women have announced their squad for next month's Cyprus Cup tournament. Manager Jayne Ludlow has named a 23-woman squad which includes Jess Fishlock, who has just led Melbourne City to a Women's League title in Australia. In Cyprus, Wales will be in a group with Hungary, Republic of Ireland and the Czech Republic. Wales kick-off with a game against the Hungarians on 1 March in the annual invitational friendly tournament. 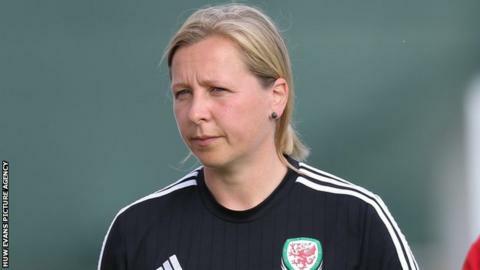 Wales Women's' Squad: Claire Skinner (Cyncoed), Laura O'Sullivan (Cardiff City Ladies), Emma Gibbon (Eastern Suburbs FC), Loren Dykes (Bristol City Women), Hannah Miles (Cardiff City Ladies), Hayley Ladd (Bristol City Women), Sophie Ingle (Liverpool), Gemma Evans (Cardiff City Ladies), Shaunna Jenkins (Cardiff City Ladies), Jess Fishlock (Seattle Reign FC - on loan at Melbourne City), Angharad James (Notts County Ladies), Charlie Estcourt (Reading FC Women), Bronwen Thomas (Brighton & Hove Albion Women), Georgia Evans (Bristol City Women), Nadia Lawrence (Yeovil Town Ladies), Helen Ward (Yeovil Town Ladies), Natasha Harding (Liverpool), Rachel Rowe (Reading FC Women), Kayleigh Green (Chieti), Melissa Fletcher (Reading FC Women), Rhiannon Roberts (Doncaster Rovers Belles), Amina Vine (Bristol City Women), Emma Beynon (Swansea City Ladies).